I can't believe my baby is 3!!! 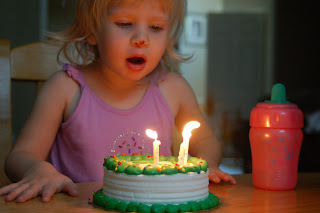 Tuesday was her birthday so we pizza for dinner, which she requested with sister's help, and a small cake. We are planning a birthday cookout on Sat with friends since our family can't come in. Just look at that smile. It fills her whole face. 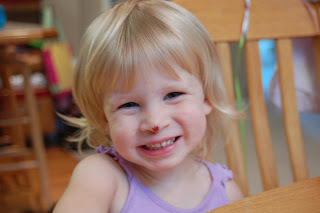 Ok, the story about the boo boo on her nose. Her Daddy built her a big girl bed and just a couple of days before her birthday she fell out and hit her nose on something. You can't tell in the photo but it is shaped like a tulip. When she heard us stay that she said " it not a lip!" 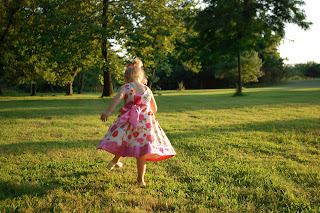 After dinner we took her on a photo shoot at a local park and a beautiful waterfall. I love how this pic turned out. My favorite!!! I can't believe how good it turned out and we didn't have to pay a professional!! Here is the story on this pic. See the flower? 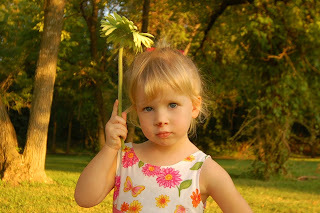 Cassie came to me one day with this flower held up to her head just like in the pic and said, " Mommy, see my umbrella?" What an imagination!! I just love her facial expressions!! She was not looking at me so when I told her to look at me this is what I got. 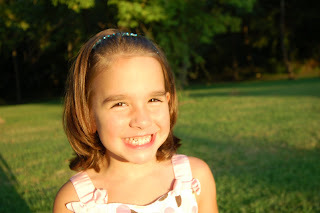 She is so sassy, spunky, sweet and she just keeps us laughing all the time. 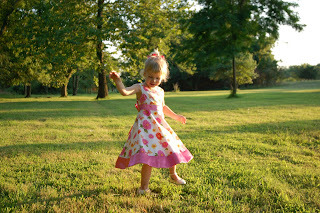 My mom got her this dress and Cassie loves it because it twirls. 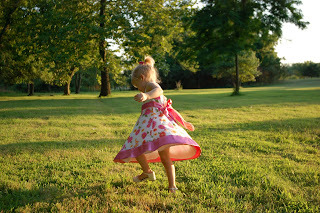 She had so much fun dancing in this dress. Check out the back. Sooooo CUTE!!! I had to throw a pic of Aundrea in here. She takes great pics too. 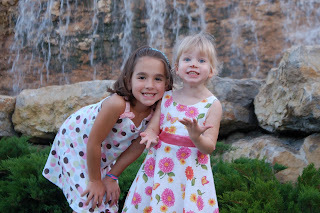 We have been so blessed to have 2 beautiful girls. 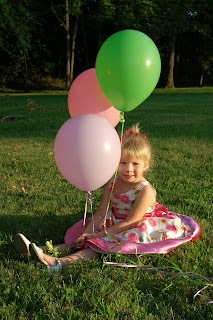 I'm busy planning Cassie's cookout, poka-dot theme birthday party tomorrow. I have some cute things I'm making. I can't wait to show you. I'm off to get ready for the party!!! The pictures turned out so great!! Happy birthday Cassie! Ain't she cute????? and Aundrea too!! I am going to have to call Cassie "Rudolph" regarding her "booboo". We wish we could have been there to celebrate.